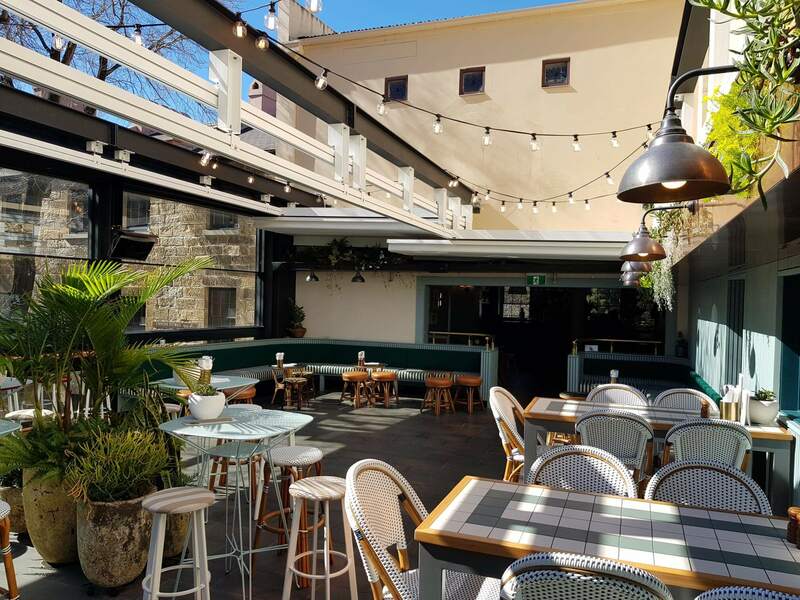 An All Seasons retractable roof system by Helioscreen turned out to be the perfect solution for protecting patrons of the new Mrs Jones terrace bar from rain and sun at the iconic Orient Hotel in Sydney’s historic Rocks area. 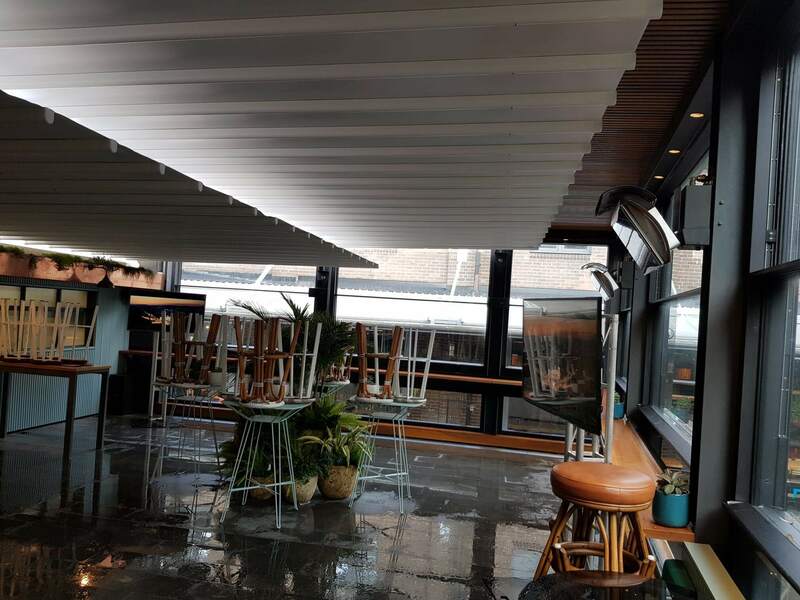 The Orient Hotel had contracted leading awnings and retractable roof supplier Sunteca to handle the project and Sunteca had no hesitation in sourcing the best available. 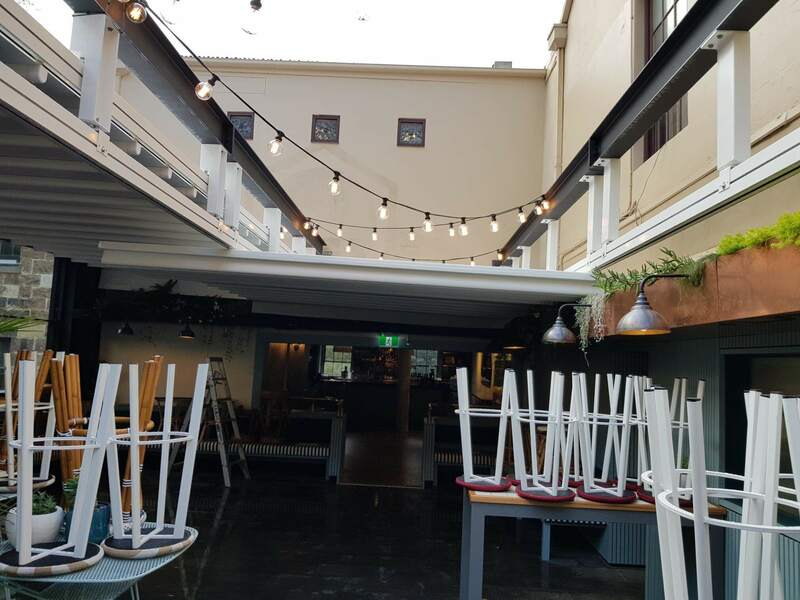 The All Seasons model offered the strength, flexibility and high-end electronic sensory and motor systems that the Orient Hotel needed. 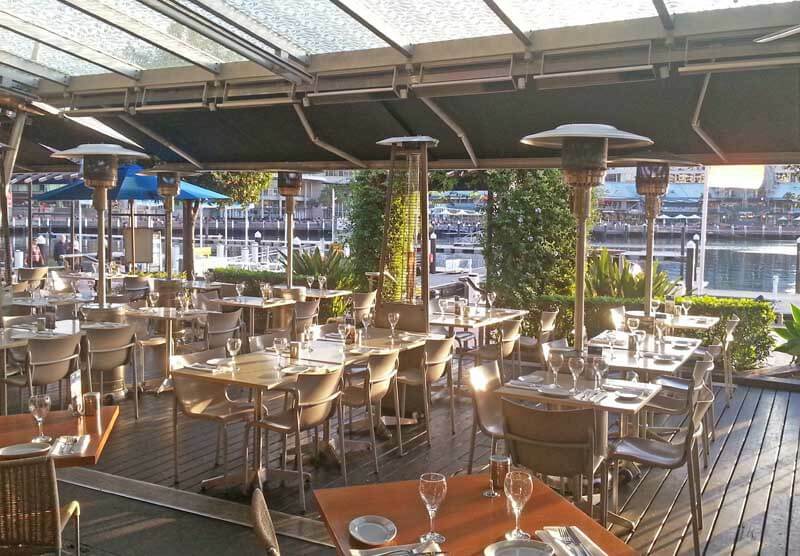 Its waterproof fabric not only provides 100% rain protection, thus extending the bar’s alfresco area, it is easy to clean and looks good. It also has integrated water seals to help keep the undercover area dry. 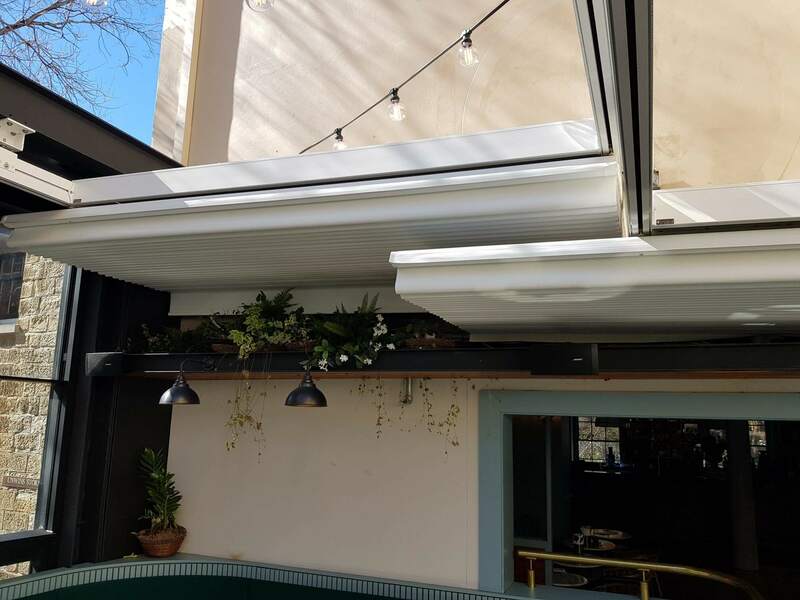 The All Seasons retractable roof can be quickly opened or closed when the weather changes and it folds away at the touch of a button. Its innovative high-torque motor drive system has a self-adjusting motor that keeps the fabric at optimum tension. Sophisticated optional extras include dimmable 360 degree LED down lighting and weather (i.e. wind or rain) sensors that can be set to automatic control for when the user is away. 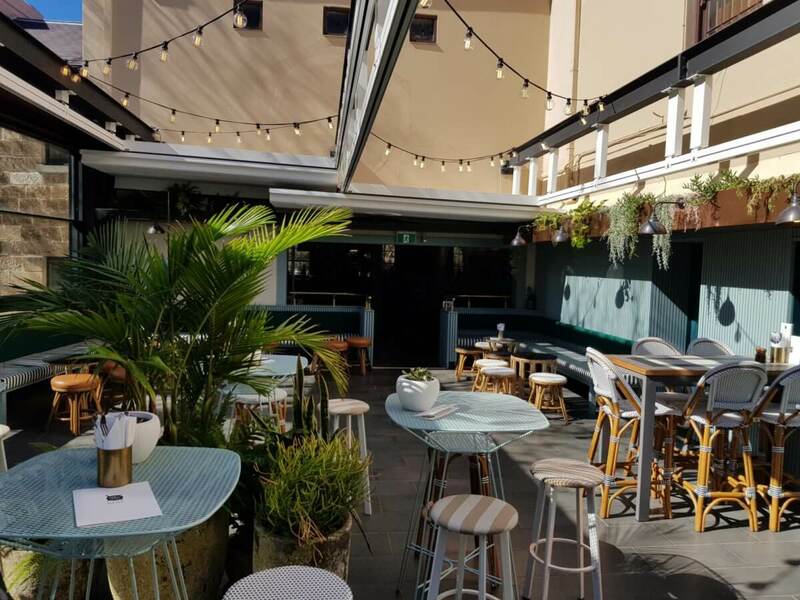 This roof range is made from architectural grade aluminium and stainless steel fixtures that have been developed to ensure smooth operation and high durability. 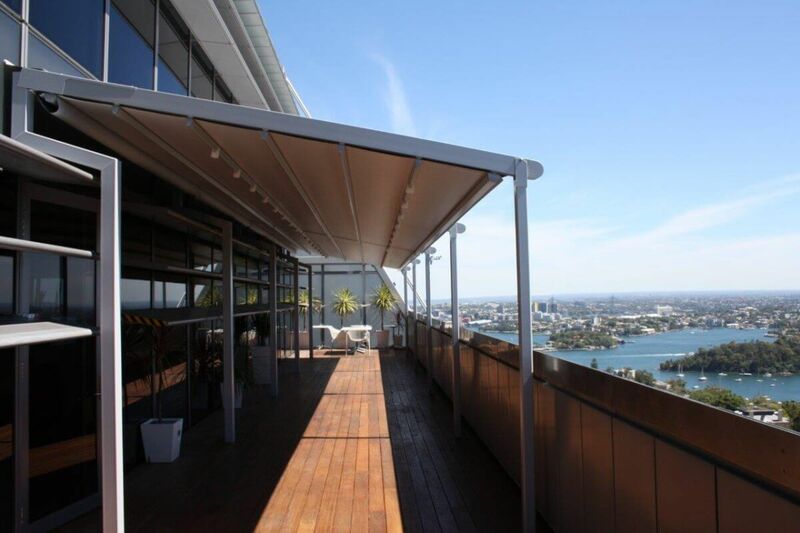 All Sunteca’s Helioscreen products are custom designed and manufactured in Europe and assembled in Australia. To read more about the All Seasons Range, click here.